This lucky couple was fortunate enough to be the accidental recipients of free Stanley Cup Final tickets after a stranger dialed their number instead of someone else’s. 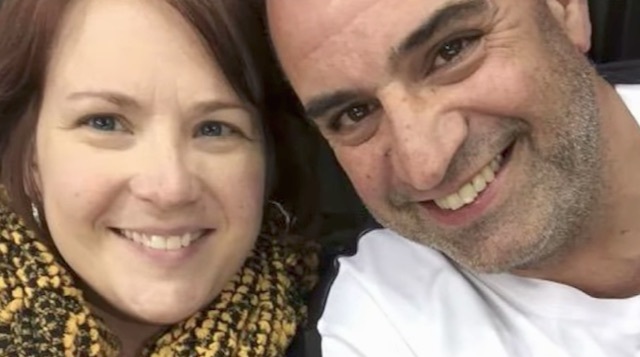 Though Amy Santora and her husband are big hockey fans, they haven’t been to a game in 22 years. Then, an hour before Game 2 of the Pittsburgh Penguins facing off the Nashville Predators on Thursday night, Amy received a text from a number she didn’t recognize that was addressed to someone named Julianne. The text went on to say that the owner of the mystery number wasn’t able to sell their Game 2 tickets and that they were leaving them at will call for whoever wanted to pick them up. Amy wrote back, saying that though she wasn’t the intended recipient of the text, she and her husband were big Penguins fans and they would be happy to use the tickets. Despite how Amy wasn’t expecting to receive a response, the sender said that they would be leaving the tickets at will call in Amy’s name. Shocked, Amy and her husband rushed to the PPG Paints Arena in Pittsburgh, Pennsylvania – and sure enough, there were two $329 tickets waiting for them. To top off the night, the stranger never asked for money in exchange for the tickets – and the Penguins went on to win the game 4 to 1.